Today, Western Values Project (WVP) submitted a formal comment to the National Archives and Records Administration (NARA) requesting that they not grant the US Interior Department’s request to delete public records. Interior’s request comes as the department and Secretary Zinke have dragged their feet responding to and in some cases simply failed to provide responses to Freedom of Information Act (FOIA) requests. Today is the last day for the public to submit comments to NARA on Interior’s request. Interior is seeking permission from NARA to permanently destroy a range of records relating to oil and gas leases sales, legal matters, mineral exploration permits, and fish and wildlife surveys, among other issues. WVP’s comment asserts that extensive record keeping is essential to holding Interior accountable by ensuring they are doing the public’s work properly and legally. 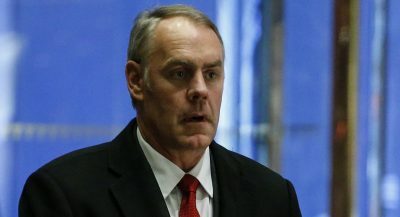 WVP’s comment points out that since the beginning of the Trump administration, Secretary Zinke’s Interior Department has only fulfilled 10.53 percent of FOIA requests that WVP submitted. 132 FOIA requests that WVP has submitted to Interior are still outstanding, including FOIA requests that are 18 months old, dating all the way to May 2017. The unfulfilled requests have forced WVP to sue the department, with multiplelawsuits still ongoing. Earlier this year, Interior accidentally released thousands of pages in response to a FOIA request that were supposed to be redacted: the accidentally-revealed documents showed that as Zinke conducted his national monuments review, his staff “rejected material that would justify keeping protections in place” and instead looked for evidence that supported rolling back public lands protections. Zinke has also kept the public in the dark by using a secret calendar and releasing incredibly vague calendars to the public. Read Western Values Project’s full email to NARA here.